Through God’s Eyes is a comprehensive collection of spiritual wisdom from across the ages, and from many different disciplines and philosophies. Phil has done an incredible job of breaking down spiritual issues and principles into categories, and then finding the right quotes from sages, mystics, philosophers, and others to illuminate those categories and provide an answer to virtually any question one could pose. Phil contributes his own insights as well and they are right on, echoing and paraphrasing a collection of wisdom unsurpassed in my reading. So it’s big. And it’s inspired. As a longtime disciple of Paramahansa Yogananda, I hear his voice in Phil’s commentary in every chapter. I highly recommend Through God’s Eyes to all who would like to own a comprehensive spiritual directory that covers millennia of this planet’s wisdom. Your book is so special. In my role as a psychotherapist, I’ve had many different clients read chapters that helped them develop a much better attitude with their issues. For me, personally, in a time of much change, the chapter, “The Illusion of External Security,” was just what I needed to get grounded again and cling to God as the One Source. My inner peace came back, prayers were answered, and positive things started to happen again in my world. I only wish your book was small enough to carry with me everywhere. I keep thinking of people I want to give it to as a gift. Phil’s book, Through God’s Eyes, has kept me and will keep me on the spiritual path. I have known suffering, and the quotes and insights in this book aid me in staying on course rather than falling into judgment of others. Through God’s Eyes has shown me the light where before I only saw darkness. It provides clear, easy-to-understand perspectives on various troubling situations and conflicts and allows the reader to find the peace and acceptance that we all seek. This will be my bedside read for years to come. If you want more contentment, more joy, and less drama in your life, this is the book for you. It’s not a religious book, but a spiritual book filled with wisdom that you can apply to your everyday life. I have purchased three copies as gifts as well as the e-book. Thanks, Phil. Peace begins with me. The author has taken what could have been a lifetime of individual research and reading and gathered the best thoughts, quotes, and values and packaged them in one wonderful volume of LOVE. It is a book that you can pick up and randomly open to read any page; it is all treasure waiting to be discovered by the reader! Phil Bolsta has harvested and culled the “LIGHT” from other great thinkers, sages, and saints. It is a joy to read and reflect on each small piece of this book. I suggest a slow reading of the book—savor it and meditate on what you have just read so you can more fully absorb and reflect on the wisdom in your hands. to my friends. I am so thankful that I met you, Phil. This book of yours is amazing and a treasure that I will cherish forever. It is a gift I gave myself and then gave to others. I would highly recommend Through God’s Eyes. I love love love this book! Everyone should have a copy and one for a friend. It is one of a kind. The format of this book is unique, weaving together spiritual and wisdom quotes from the ages via author Phil Bolsta’s own astute and insightful writing. Prior to writing this review, I opened the book at random to pages 260 and 261 where we find nine insightful quotes by the likes of Einstein, Churchill, Chopra, Rainer Maria Rilke, Vaclav Havel, Marcia Wieder and Henri F. Amiel. They are outstanding quotes under the heading of “Answering the Call.” Interspersed with each of them is the counterpoint of Bolsta’s own salient quotations. Here are two of them: “The prize is not the culmination of your work, but the work itself. With discipline and devotion, you faithfully answer the call that you alone can hear.” “Make plans but stay flexible. Practice stillness, presence, and infinite patience, for the road ahead flows through uncharted territory.” Through God’s Eyes would be worth a good deal more than the price of the book if it contained either the quotes of others or of Phil’s wisdom. But together, in such an organized, smoothly flowing conversation, the book’s ability to transform your life is priceless. I’m a simple person, but I simply love this deep thought-provoking book! It doesn’t matter if you only have a minute to read, you will come away with something. It fills your heart and your hands. It’s a HUGE book full of golden nuggets. I keep it on my coffee table because it’s an honor and a privilege to see the world Through God’s Eyes. It’s just that good! As someone consistently looking for books of inspiration, I feel that I have stumbled upon gold with Through God’s Eyes. 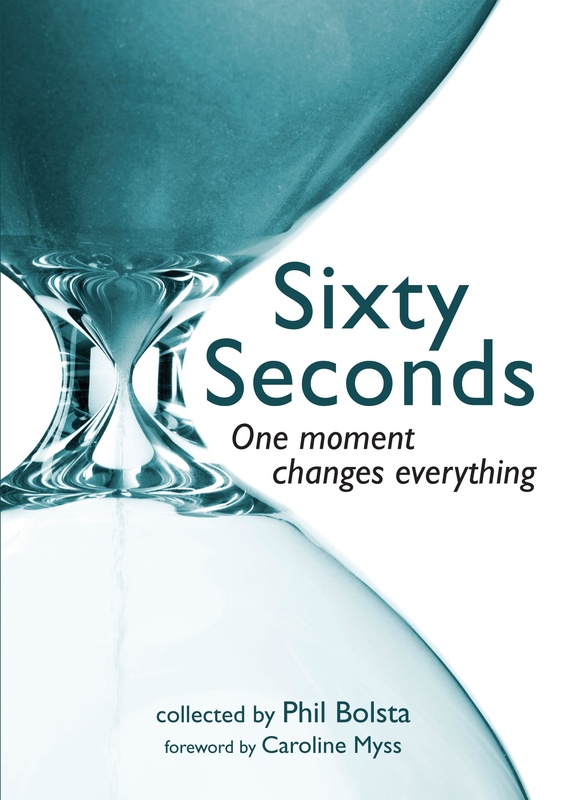 Through its simplicity, yet depth, this book promises a lifetime of reflection and introspection, while at the same time inspires present action. I am grateful for Phil Bolsta to have dedicated such time and care for this unique and valuable book and I offer my highest recommendation for it! I’m in love with your book! I’m not a front-to-back reader; I like to just open it, see where it takes me, and pencil in the date on whatever I read. It’s pretty much been spot on for where I need to be that day! It’s such a fine piece of work; I don’t think it will ever find its way to a shelf but stay on my coffee table permanently. I’m grateful it found its way into my life! What a beautiful book: 500+ pages brimming with wisdom, inspiration, truth, and hope. Every page offers the reader new insight and clarity. It is so richly done and so uplifting to read. I am grateful to own this book—reading it brings me closer to God and makes my heart sing. Grateful for my new inspiration to be the best me ever! I use this book as a daily devotional. I feel as though I am having breakfast with each philosopher or inspirational soul. My day starts out fantastically positive and I look forward to being the best me I can be throughout the day. When tough times come, reading Through God’s Eyes uplifts me and reminds me of Truths. This is a WOW book. The more I read the more I am in awe of this book. This is an in-depth, creative presentation of issues dealing with spiritual/moral/ethical enlightenment. The author has a definite pattern from the very start of the book wherein he presents his ideas, which are supported by quotes from spiritualists, philosophers, poets, humorists, etc. But this is not a book of quotations. Choose a topic or chapter and it follows with insight and encouragement on how to find divinity in the everyday and in every person. Bolsta ends each chapter with a story and a Question Review that allows you to ponder the compatibility of your life to that chapter. I read twenty minutes of this every night. I foresee a time when people will be quoting Bolsta, not just those souls whose quotes he uses to prove a point. I am so impressed with the author’s journey and willingness to share his treasures with the world. This book does an excellent job of boiling down numerous spiritual thoughts, ideas, and works into their fundamental common points. And it does this in a way that is well organized, so despite the complexity of the material, it’s easy to follow and understand. This is one of those books that’s great to keep out on a coffee table or on a nightstand—I like reading a few pages at a time before bed to let things soak in. It’s an interesting, inspiring, and uplifting read by a wise and insightful author. In a style that I wish I were much better with, you give a deceptively short and simple presentation of a deep truth, then turn that gem slightly by quoting other truth-givers’ perceptions of that same truth; thereby helping the reader to more easily assimilate it. I love it! It reminds me of how Self-Realization Fellowship matches photos with Paramahansa Yogananda’s quotes in their annual “Inner Reflections” engagement calendar; which is an appropriate title to use in this comparison, as your brevity and the brevity of the following quote are, indeed, inner reflections of one another. I also appreciate the enormous investment of time and energy it must have taken you to create all those match-ups. Further, by reading your excerpts from Chapter 13, I could see that by including your own personal story of learning at the end of each chapter, you have created an overall triangulation for the particular truths which you presented in two ways before; this even lubricating further readers’ ability to assimilate communications, as both triangulation and storytelling calls in right-brain dynamics. Well done! Many years ago, Caroline Myss, a brilliant teacher, author, and mystic, made an insightful comment. She said, “There is a mystical renaissance happening in the world. We are being called to be mystics out of monasteries.” Myss was correct all those years ago, and Phil Bolsta has written a work of profound mysticism that is sorely needed at this time in history as people are starving for the sacred while walking away from the politics and dogma of religion. Through God’s Eyes is a collection of diverse wisdom, grace, and discernment from Plato, Rumi, Thomas Merton, Alan Cohen, Helen Keller, Meister Eckhart, and many more that includes stories and observations from Bolsta that bring this wisdom down to earth in a sometimes humorous, sometimes painfully honest fashion. As is the case with all great mysticism and truth, Through God’s Eyes is not dependant on a particular religion yet can be read and appreciated by those of all faiths and disciplines—especially those who seek to give the world behind their eyes authority over the world in front of their eyes. Bolsta’s Through God’s Eyes, which is a delightfully thick and heavy book, is an uplifting, beautifully written work that I will refer to and treasure for many years ahead—especially the challenging ones. Phil’s book is a wonderful companion for the spiritual journey and psychological/mystical adventure of life. He’s brought so many traditions and perspectives together to add their support for the duration. You can open it anywhere and receive encouragement and inspiration. It’s like a hot cup of tea on a cold night—you just want to keep sipping it. Through God’s Eyes is a book that can be enjoyed over and over, in short readings or longer readings. Phil Bolsta has designed the book in categories that are easy to read and later reference. It is a compilation of thoughtful, helpful, important wisdom from a wide spectrum of people and authors interspersed with Phil’s own wisdom and thoughtful insights. The readings help keep me grounded and give me reminders to reflect on, live by, and grow from individually and in relationships. It is a book that helps me become a fuller person, enjoy life more, and find peace in a busy world. It is a perfect gift for anyone you truly care about. Phil Bolsta has created a thoroughly enjoyable road map for anyone who is a seeker. At almost 600 pages, Through God’s Eyes is an over-the-top good read. The book is satisfyingly large, bursting with wisdom, inspiration, and humor on the human condition. The author has an uncanny intuition that threads the quotes of the great ones with his own words that are as insightful and profound as the ones he is quoting. I delight in opening the book randomly and seeing how the quotes and Phil’s engaging narrative speak to my soul and mind at that moment about whatever may be going on in my life. Buy this book as a gift for others; they will thank you for it! No matter where you are in your spiritual journey, Through God’s Eyes can inspire your moment, your day, your life. This book elevates your mind from the mundane to the sublime. Like a gentle breeze, it lifts the veil that obscures truth, revealing the wisdom of the ages. It is a most valuable guidebook for life. Do you like quotes? Do you like to read about yourself? Of course you do. You are in this book. Pick a page, any page, you are in it. I leave this book on my nightstand next to my Bible. But you don’t have to be Christian or anything else to enjoy it. Famous and not so famous people are here too. They all want to help. You are meant to be here and you have a purpose in this world. I need you, and you definitely need you. We are all in this together. Do yourself a favor, when you are needing a kind word, open up Phil’s book, and find yourself…improving. God Bless you all. I really like it! The quotes are powerful and the book is organized in a really usable way. Phil writes with a friendly voice, it’s NOT a preachy book! It seems more like a useful reference/old friend that one can revisit over and over, finding exactly what one needs on any given day by simply opening it. Not only is this book very, very inspiring, it is well written and put together. Covering every topic the Spiritual Seeker could ever want to see, it has famous quotes that are very uplifting. Definitely a reference spiritual book for your library! I highly recommend it!! I’m enamored with this book. After having read the introductory sections, I’ve decided to use it as a daily morning reading book, just opening it to a section and reading the astonishing collection of wisdom voices Phil has drawn together into this magical tapestry. It’s perfect for a daily “pick a page” reading for guidance and inspiration. Can’t say enough good about it! If I am facing one of life’s challenges, I can read through a section or two of this book and find the inspiration to work through the situation in a positive and wholistic way. I have recommended this book to many of my friends and purchased several copies for holiday gifts. Like so many unexpected surprises which we encounter on the spiritual path if only we are open to receive the gifts they bring, Phil Bolsta’s Through God’s Eyes found its way into my hands while I was busy postponing following through on an important life-changing decision. I synchronistically opened Phil’s book to the section on “Resisting and Rationalizing,” and it helped me immediately become conscious of my suppression of surrender to Universal Plan. One quote in particular rang loud and clear and true: “There are two kinds of people: those who say to God, ‘Thy will be done,’ and those to whom God says, ‘All right, then, have it your way. '” -C.S. Lewis. Through God’s Eyes is filled with countless such gems, sure to provide clarity, encouragement, and insight when you may need it most. I’ve been reading your book, Through God’s Eyes. Thank you, thank you, thank you for your wonderful work putting this together. It has helped me tremendously already! You’ve put all this eternal and timeless wisdom and guidance together in one easily accessible volume. I can’t put it down, which is another testimony to its value to each reader, no matter where they happen to be in this common birthright we all share—the spiritual quest of ever-new joy and bliss. It’s a big book, so I’m not all the way through yet, but I want you to know that every page is a blessing to me and has helped me with the battles of my life. I continue to recommend the book to everyone in my family and circle of friends! It is more than a masterpiece—it is a life-changing experience to make my way through its pages! I truly believe this book belongs in every library and in every home. Beautifully done, Phil. I am finding that viewing and listening to the quotes (words spoken by many others through time, not just spiritual masters but other seekers whose words have become quotable) connect me to the commonality of what I seek and question in myself with all others throughout time who have done the same; in that way I feel less alone in my moments of self-examination regarding what I really KNOW and what my heart and soul long for. It’s another reminder that we are all connected and searching for the same things. I don’t really forget that, but your book brings it into a heartfelt experience. Phil Bolsta pulls together works from the spiritual masters of all time and weaves them into a book of personal reflection and enlightenment. He provides the reader with food for thought and a way to digest it all. He is masterful in weaving together the words of those who have inspired us throughout the ages, and breathes freshness into how we look at the fabric of those words. Thank you Phil for the amazing amount of work that went into compiling these treasures, and for your ability to help us look at ourselves once again in a whole new light. Don’t just read this book…REREAD this book, over and over and over! Phil Bolsta has tapped the masters of spiritual thought and woven their beautiful, world-renowned quotes into his inspiring book that gives readers an abundance of nourishing insight as they greet each new day. I really enjoyed the way Phil took his personal stories and life lessons and shared them throughout the book providing opportunities to describe how wide awakenings unfold. This entry was posted on May 17, 2012 at 6:08 PM and is filed under See INDEX categories above. You can follow any responses to this entry through the RSS 2.0 feed. You can leave a response, or trackback from your own site. The moment I found out you had published this book I knew I had to have it. I purchased a few for friends, my sister and for my favorite doctor, who is from India. I had told my doctor about the book and told him it was going to be autographed by you. When I brought it in to his office….his eyes were as big as saucers. He kept asking me, How do you know this man? How did you meet this man? How did you get this man to write in the book for me? I giggled and opened the back and said, “Look back here.” I had it open to the pages of quotes from Paramahansa Yogananda. I then pointed out several others and he was just amazed. I told him he could keep it in his office and read while he listened to music and he told me he had to take it home and show his wife. His wife reads several inspirational thoughts a day and shares them with friends. I am so thankful that I met you, Phil. This book of yours is amazing and a treasure that I will cherish forever. It is a gift I gave myself and then gave to others. 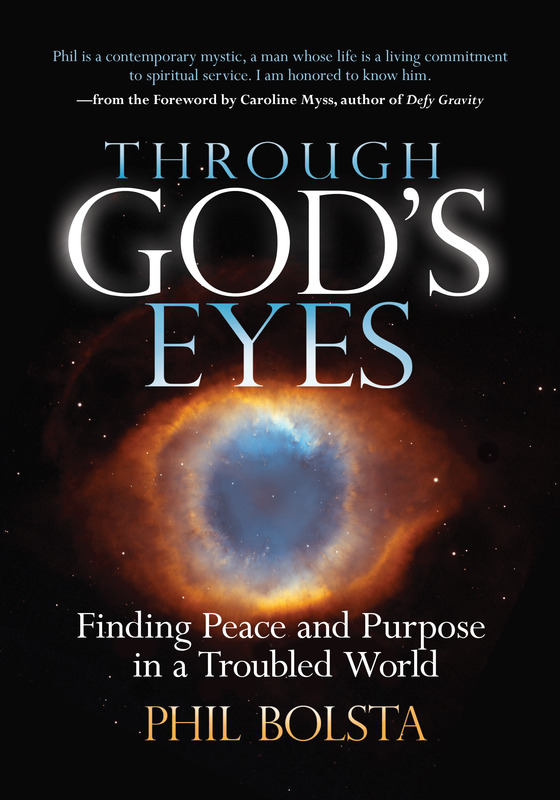 And so I echo the reviews before me: I would highly recommend “Through God’s Eyes.” I love love love it!! Paula, I am so glad you like the book so much and that your friends and relatives are enjoying it. That’s why I wrote it, for people like you who I hoped would find value in it. Thank you for such a lovely and inspiring message!